Most famous private yacht trip to Goa near beach. Kegdole beach is located at the mouth of the Mandovi river opposite to the Panaji bank. 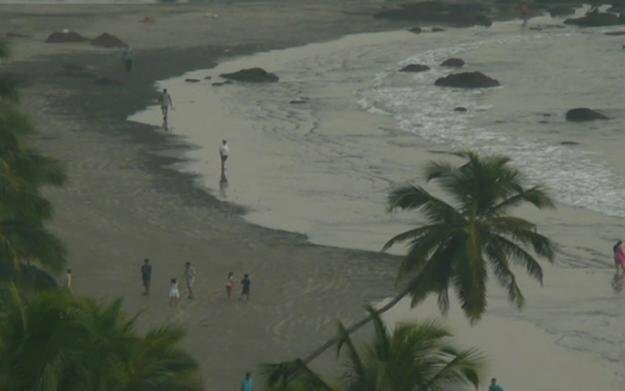 The beach is located at a distance of 5 kms from Panaji and 14 kms from Mapusa. Towering just above the beach is the Reis Magos fort. Also located close by is the Verem Lighthouse and the Mandovi Jetty of the Indian Navy. The light house is no longer in use. To the left of the beach one can find a lot of rocks sticking out of the river. The area from the lighthouse to the beach is considered a good fishing spot. The beach offers a good view of the Mandovi bridge and the Mandovi river itself. The kegdole beach can be reached by private yacht or speed boat.